Come and create a one-of-a-kind blank paged book. Choose from a huge selection of international artisan papers to cover your book. 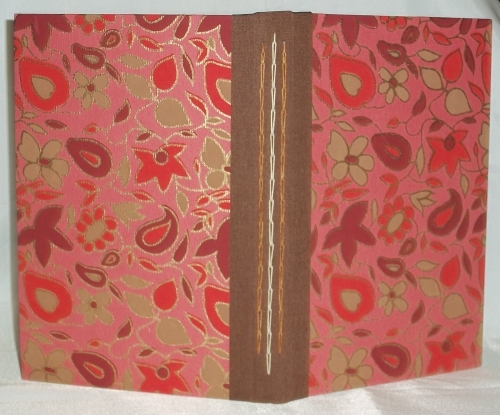 Bind your book with a beautiful chain stitch exposed binding. Every participant will leave with a complete finished beautiful book. Please follow the link at the right to register or for more information. Lovely book, Jan! Good luck with the class!